Genius Loci Games: Quick Note - Assault on the Southern Horn Released! 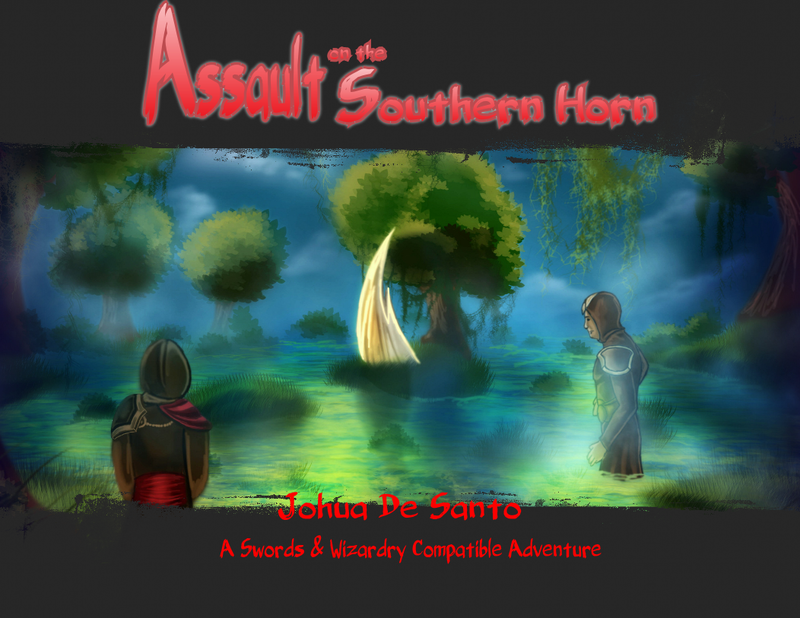 Quick Note - Assault on the Southern Horn Released! The newest adventure from Genius Loci Games is up over at RPGnow and Drivethrurpg. This new adventure abandons the Two-Page Adventure style to answer some of the biggest questions of the Usarm games and to create many more. "Assault on the Southern Horn" was written by me and features interior art, back cover art and cartography by the Fantastic +Frank Turfler (I went to the Stan Lee School of Nicknaming) and was created for use with +Frog God Games' Swords & Wizardry rules or nearly any OSR ruleset! "Assault on the Southern Horn" is available in the typical Genius Loci landscape and as a traditional portrait .pdf file and I am currently working on getting a print version of the game up and ready!